Submissions that simply report the effectiveness of UV AOPs at degrading a particular target compound or set of compounds in pure lab-grade waters will not be considered. Submissions for this Themed Issue are due by March 2018 – if you would like to submit to this Themed Issue, please contact the Environmental Science: Water Research & Technology Editorial Office at eswater-rsc@rsc.org to register your interest. Pan Africa Chemistry Network Congress 2016 – registration open! We are delighted to announce that Pan Africa Chemistry Network Congress 2016 – Sustainable Water Resources for Africa is being held in Kenya on 30 November – 2 December 2016 – be sure to secure your place today! For full details of speakers and conference themes, please visit the event web page. This will be the 10th PACN Congress, and will bring together over 200 participants from across Africa and the globe to discuss current research, challenges, new developments and crucial issues on the topic of Water. The speaker and participants will share expertise and best practice and discuss cutting edge research and applications. It will reflect the diversity of science and research that can help solve challenges of water security and water safety, with a focus on the chemical sciences. The conference will give all participants the opportunity to engage with other scientists, exchange ideas and previous events have led to new collaborations and partnerships. Under the Researcher Links scheme offered within the Newton Fund from the British Council, Dr Durai Prabhakaran Raghavalu Thirumalai (Bangor University, Bangor, UK) and Professor Sabu Thomas (Mahatma Gandhi University, Kottayam, Kerala) will be holding a workshop on nanomaterials for water purification in Kerala, India from 12–16 December 2016. Advances in nanoscale science and engineering suggest that many of the current problems involving water quality could be resolved using nanosorbents, nanocatalysts, bio-active nanoparticles, nanostructured catalytic membranes and nanoparticle enhanced filtration among other products and processes from the development of nanotechnology. Recent developments in technology have resulted in breakthroughs in wastewater treatment for reuse. This progress includes membrane technology, which has emerged as a significant innovation for treatment and reclamation, as well as a leading process in the upgrade and expansion of wastewater treatment plants. Membrane filtration technologies form a promising avenue of research and innovation to provide effective and lasting solutions for adequate supplies of water of suitable quality to meet human, environmental and industrial needs. Our intention is to bring together the experience from India and UK researchers in order to discuss these topics and new targets in materials and chemistry for water purification. Early Career Researchers from the UK or India are now invited to apply to attend this workshop. All travel and accommodation expenses will be covered by the Newton Researcher Links programme. The workshop will provide a unique opportunity for sharing research expertise and networking. During the workshops early career researchers will have the opportunity to present their research in the form of a short oral presentation and discuss this with established researchers from the UK and partner countries. There will be a focus on building up links for future collaborations and participants selected on the basis of their research potential and ability to build longer term links. If you would like more information about the workshop please contact Dr Durai Prabhakaran Raghavalu Thirumalai (durai.prabhakaran@bangor.ac.uk) or Professor Sabu Thomas (sabuchathukulam@yahoo.co.uk). For more information on the Researcher Links Scheme please visit https://www.britishcouncil.org/education/science/researcher-links. Professor Jun Ma of the Harbin Institute of Technology and Advisory Board member of Environmental Science: Water Research & Technology has been chosen by the Royal Society of Chemistry as the deserved winner of the Sustainable Water Award 2016. The award recognises his work on the development and application of novel technologies for wastewater treatment processes. The Royal Society of Chemistry prizes and awards celebrate the achievements by individuals, teams and organisations in advancing the chemical sciences – and rewarding those who undertake excellent work in the chemical sciences across the world. Jun Ma graduated from Harbin Institute of Technology (BS, MS and PhD), and was a Postdoctoral Fellow at Imperial College London (recipient of Marie Curie Postdoctoral Fellowship). He has been a Senior Visiting Scholar at the University of Massachusetts at Amherst as well as the Swiss Federal Institute of Aquatic Science and Technology (EAWAG) at Switzerland. 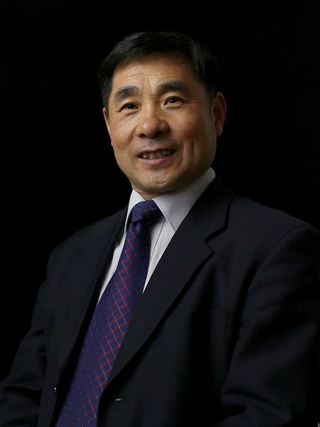 Professor Ma is now the Changjiang Scholar Professor at Harbin Institute of Technology and the Deputy Director of the National Engineering Research Centre of Urban Water Resources, China. Congratulations Professor Ma from the entire Environmental Science: Water Research & Technology team! Professor Jun Ma’s webpage can be found here. Full details of all 2016 prize and award winners can be found here. We are all aware of the breadth of issues that we face as a planet when it comes to securing sustainable water supplies in the future. Global changes in climate, land use and demographics mean that there will be different pressures on water availability and quality and these have the potential to affect human health and the environment. Whilst some challenges are long-standing, such as ensuring adequate sanitation for all, we also face emerging issues, in the form of new pollutants, such as hormones and pharmaceuticals. Last year in Leipzig, leading scientists from China, Germany, Japan, the UK and the USA met at the 6th Chemical Sciences in Society Symposium (CS3) to discuss how chemistry could contribute to future global water security. The meeting is part of an ongoing series that brings together leading scientists from these nations, with the support of their national chemical societies and national funding bodies to discuss the role of the chemical sciences in different global challenges. The discussions from the meeting have been captured in the recently launched white paper Chemistry and Water: Challenges and Solutions in Changing World, which highlights the future research directions, collaborations and policies that are needed to ensure global water needs can be met in the future. A wide range of issues was examined, including the link between water, the environment and human health, the need for ever-evolving detection methods, improved water treatment techniques for water reuse and the opportunities presented for recovering valuable materials from water. A number of themes emerged from discussions across all areas, such as the need for chemists to work alongside other disciplines, such as engineering, ecology and epidemiology and the importance of continual international knowledge exchange and collaboration. The white paper also makes more detailed recommendations for research directions in the different themes of environment and health, detection, treatment and recovery of materials and includes case studies on how water challenges are being tackled in each nation. The meeting demonstrated the range of challenges where we can share knowledge and learn from the experiences of other nations. By capturing the discussions in the white paper, the recommendations from the meeting can help research funders, as well as the wider research community, in taking future steps to make sure chemistry is fully contributing to its part in securing future global water supplies. Celebrating 30 Years of Securing Our Water Future! Scientifically-proven advances in water technology allow us to treat any water clean enough for any use, including industrial, irrigation, and drinking. For the past 30 years, the Annual WateReuse Symposium has been the place to get the information you need to develop the right water for the right use. Come for the experience. Leave with the knowledge you need. We are delighted to announce a new initiative in which we wish to highlight the very best work from environmental scientists, working in the area of water engineering and technology, who are in the early stages of their independent career. Environmental Science: Water Research & Technology has created an on-going Emerging Investigators Series that will feature articles published by up-and-coming researchers who have been identified as having the potential to influence future directions in water research and technology. Environmental Science: Water Research & Technology showcases high quality research and innovative technologies that promote sustainable water resources. The journal provides a comprehensive and relevant forum that unites the diverse communities and disciplines conducting water research relevant to engineered systems and the built environment. This is an open call for applications to the Series. Environmental scientists who have completed their PhD (or equivalent degree) within the last 10 years, and have an independent career, can apply to have their research highlighted in the Emerging Investigators Series. A synopsis of the article intended to be submitted to the Series, including a tentative submission date. This can be an original research article (Communication or Full Paper) or a review-type article (Critical Review, Frontier Review or Tutorial Review). Please see the journal website for more information on our article types. Please note that articles submitted to the journal for the Series will undergo the usual peer-review process, and no guarantees of publication can be given to successful applicants. In return, successful applicants will receive additional visibility of their research through the inclusion of their article in a high profile themed collection on the journal website, a feature interview on the journal blog devoted to the investigator’s research program (read the latest interviews here), and the offer of discounted membership to the Royal Society of Chemistry, at an appropriate level of membership, for the first year. Environmental Science: Water Research & Technology authors also benefit from rapid publication times, a simple and user-friendly online submission process and all articles are in colour, free of charge. And remember, you can submit directly to Environmental Science: Water Research & Technology! During the conference, the Environmental Science (ES) series of journals sponsored three poster prizes. Let’s introduce the winners!